Russian large landing ship Tsezar Kunikov returning to the Black Sea. Russian large landing ship Azov returning from her Mediterranean deployment. Russian large landing ship Tsezar Kunikov making a northbound passage through Istanbul. Photo: Yörük Işık. Used with permission. Russian large landing ship Tsezar Kunikov at the northern entrance of Istanbul Strait. Photo: Yörük Işık. Used with permission. Russian large landing ship Novocharkassk making a southbound passage through Istanbul Strait. Photo: Yörük Işık. Used with permission. Russian large landing ship Novocharkassk making her southbound passage through Istanbul. 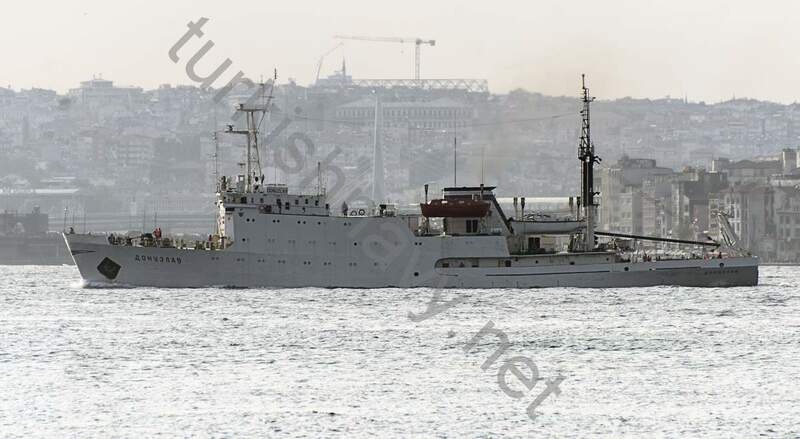 Russian survey, research and intelligence gathering ship Donuzlav heading to the Mediterranean Sea. Russian survey, research and intelligence gathering ship Donuzlav heading to the Mediterranean Sea. Photo: Yörük Işık. Used with permission. 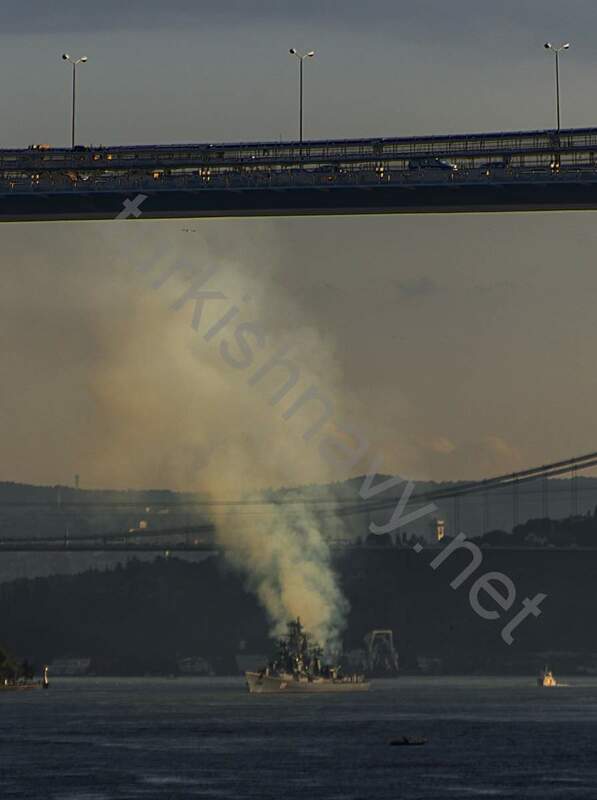 Russian Kashin class destroyer Smetlivy making her spectacular passage through Istanbul. The buoy tender KIL-158 can be partly seen behind the destroyer. Russian Kashin class destroyer Smetlivy passing through Istanbul. 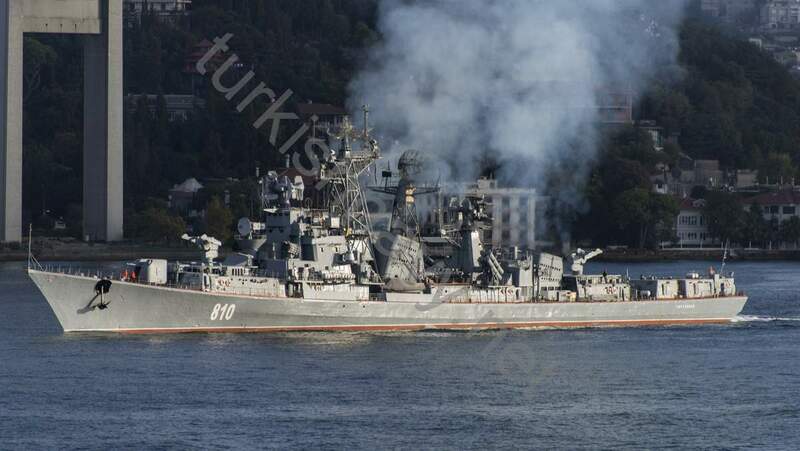 The Russian Kashin class destroyer Smetlivy smoked her way to the Mediterranean on 19 September 2015. She was build in 1960’s and is the first of class of warships that uses only gas turbines for propulsion. 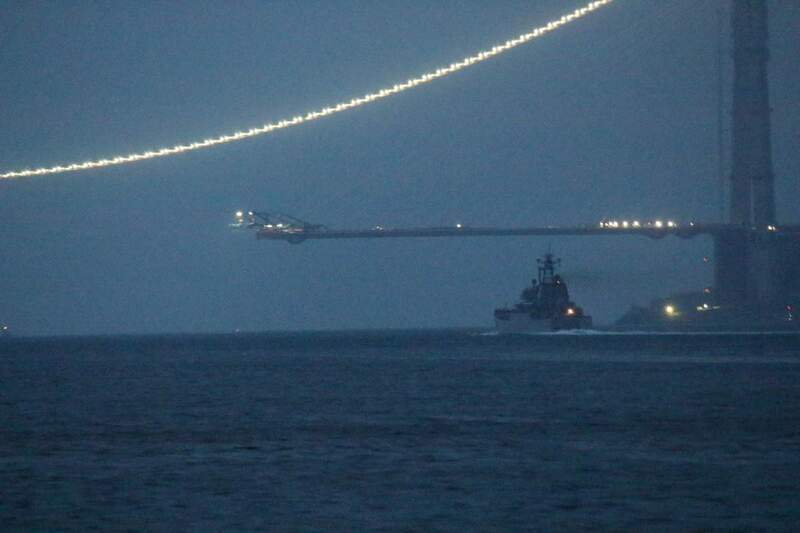 At the same time the buoy tender KIL-158 was returning the Black Sea and both ships passed each other on Bosphorus. KIL-158 had a short 10 day deployment to the Mediterranean. The Yug class survey, research and intelligence gathering ship Donuzlav made her south bound passage through Istanbul on 20 September 2015. 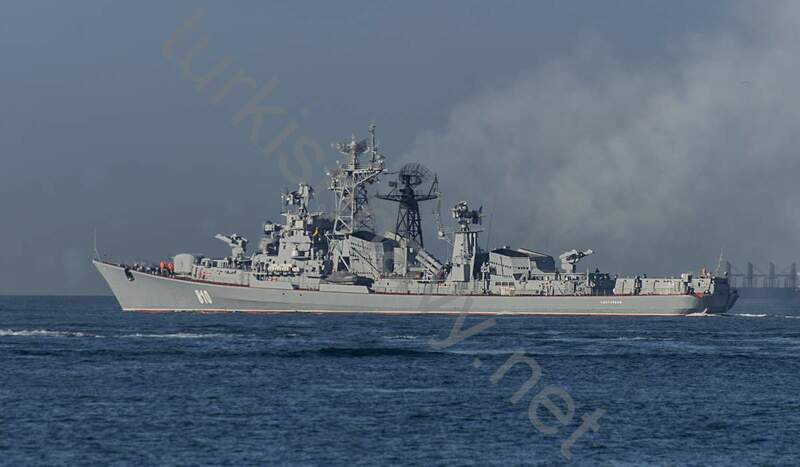 In last two days we have observed 3 Ropucha class large landing ships passing through Turkish Straits. Novocharkassk made her southbound passage while Azov and Tsezar Kunikov returned from their Mediterranean deployment. Pingback: Trupele terestre ale Rusiei au intrat în luptă în Siria | WikiWeb - Sitri , Gaming , it , Tutoriale , Sport , vremea.